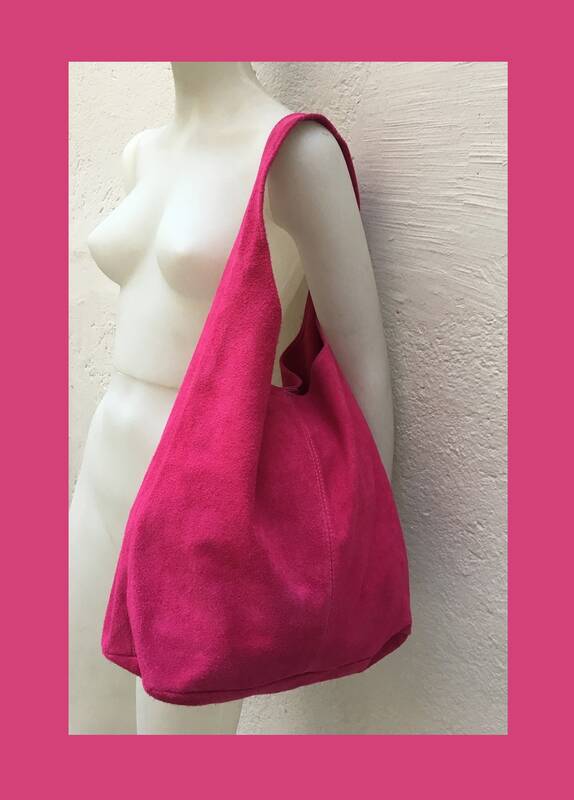 Tote leather bag in SHOCKING PINK. 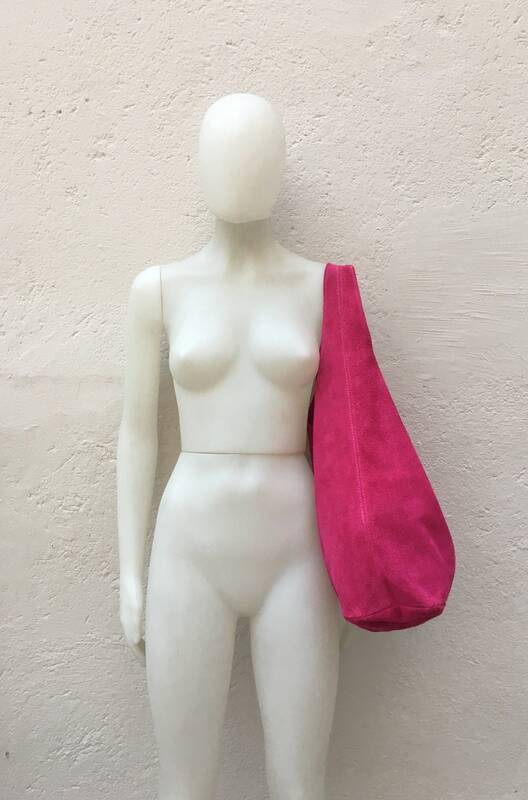 Slouch bag made with natural genuine SUEDE leather in FUCSIA. 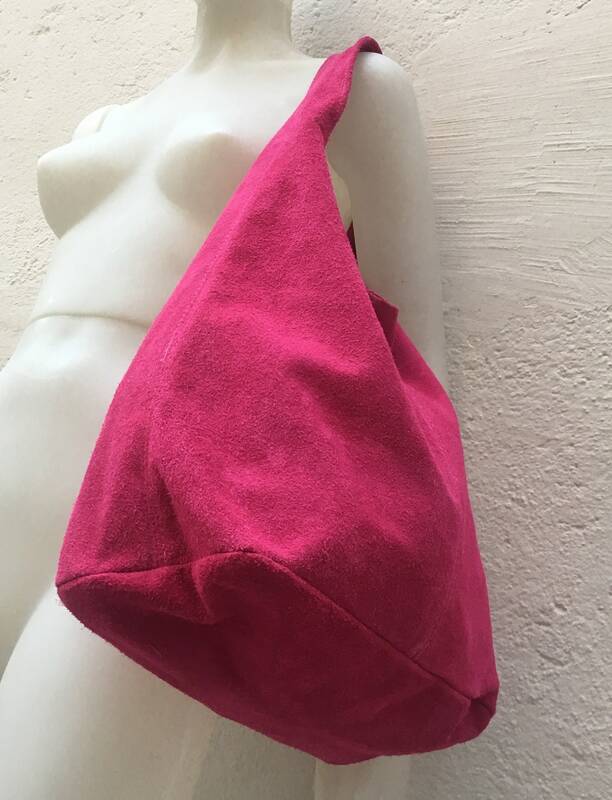 Soft suede shoulder bag in MAGENTA. 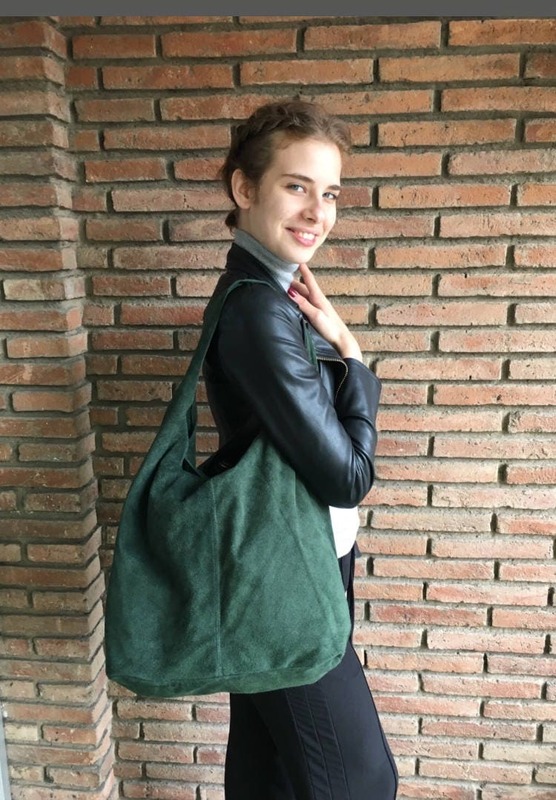 Bag for books, Ipad Tablets etc. NOT LINED. 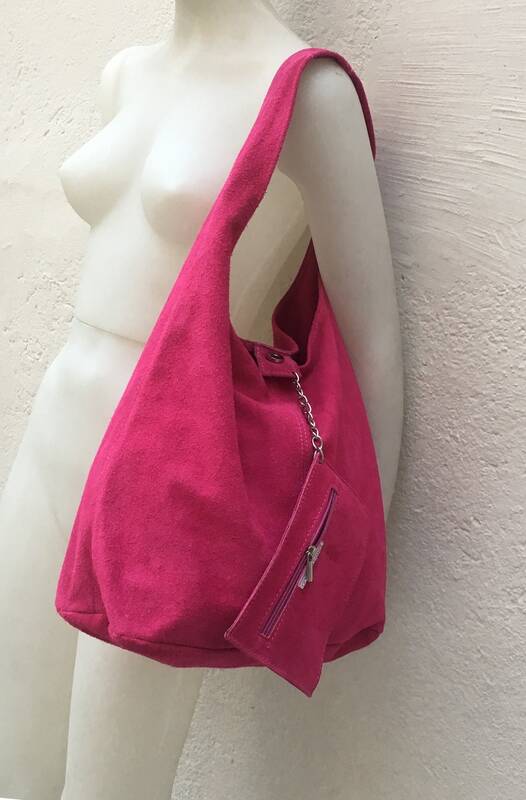 We added a small leather zipper pouch for your mobile phone and/or cards or money. 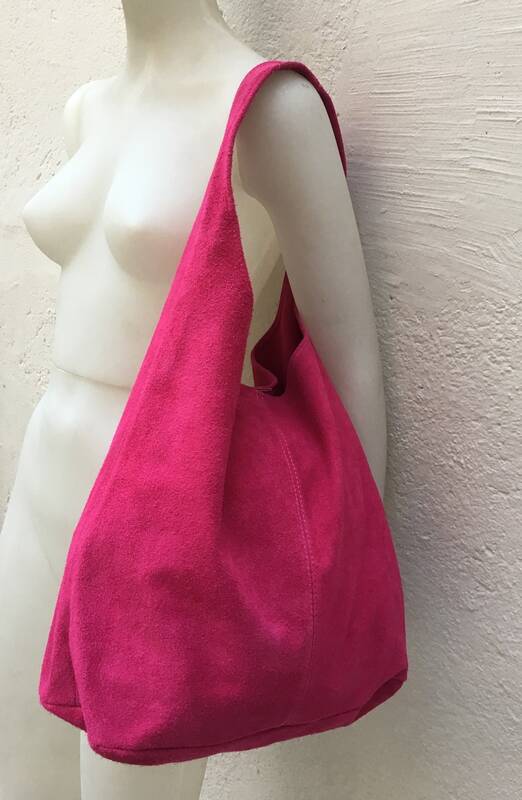 It ist attached to the inside of the bag by a metal chain.